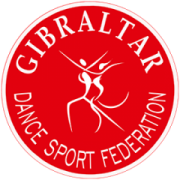 Dance Teachers, Gibraltar Dance Sport Federation GDSF recommends classes offered at Cezar & Katerina Dance Sport Club GIBRALTAR are conducted by world-renowned teachers, pedagogues, trainers and instructors – people with passion and long-term experience. They are well educated and hold all the teaching qualifications as well as methodical and didactic training. They are experts at what they do, they love dancing and other forms of physical activity. This allows them to share their knowledge, passion and skills in an easy and approachable way, while making their job a pleasure. Cezar Doroszkiewicz & Katerina Hetmańska – professional dancers of the S master dance class, pedagogues, choreographers, certified dance teachers, Dance Sport trainers and judges of the highest category. Finalists of the World Championship of Professional Dancers in Ballroom and Latin American Dance (10T), finalists of Ballroom and Latin American Dance in the UK (10T), runners-up of the Championship in Spain. 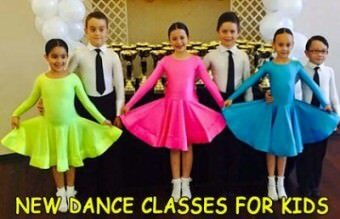 They form a professional dance couple glorifying their dancing skills on numerous tournaments, shows and other local and international events for example World Championship, European Championship, UK Championship, Blackpool Dance Festival, Championship in the USA, Canada, Poland, Germany, Spain, Russia, Netherlands, Italy… Their pupils are also successful in this field. They gained their knowledge and experience during numerous training sessions, congresses, workshops for dance instructors, lectures conducted at the Academy of Physical Education and Higher Teacher Education School, as well as from tournaments and shows. 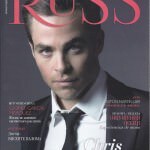 They are trained systematically by professional dancers famous worldwide. They are experienced instructors to work with children, young people and adults. They are experts in Latin American and Ballroom Dance as well as salsa. They are also masters in the techniques of: rhythmic gymnastics, classical dance, jazz dance, folk dance, stylized folk dance, modern dance. They also specialize in creating choreographies for numerous dance performances. They are the main instructors at Cezar & Katerina Danza Academy Gibraltar, Cezar & Katerina Danza Academy Marbella, Club de Baile Deportivo Marbella and Awangarda Dance Club in Katowice. Katerina Hetmanska is an artist. She designs costumes and dance outfits.